!! 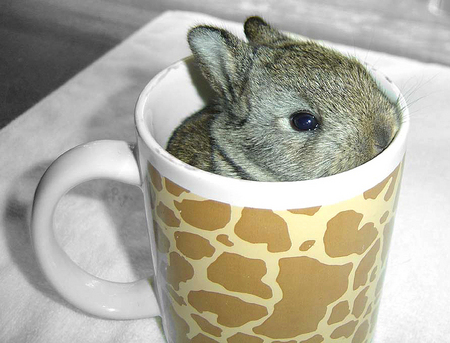 OMG, how cute: Bunny in a coffee mug !! Now all they need to invent is the bunny travel mug. 1 Comment on "OMG, how cute: Bunny in a coffee mug"
It is not a bunny. It is chinchilla.